Purpose. To determine the phenotypic variability in patients with compound heterozygous or homozygous ABCA4 mutations, and to correlate the phenotypes with the functional properties of the altered protein. Methods. 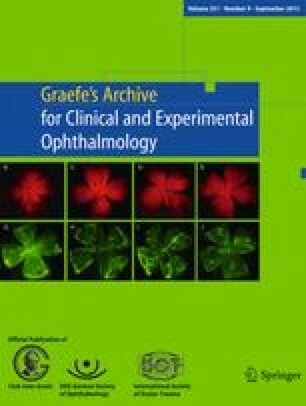 Sixteen patients from 13 families with signs of Stargardt macular dystrophy/fundus flavimaculatus and known mutations on both alleles of the ABCA4 gene (15 compound heterozygous, one homozygous) were characterized by clinical examination, fundus autofluorescence, psychophysics (color vision, kinetic and two-color dark- and light-adapted static threshold perimetry), and electrophysiology (Ganzfeld, multifocal ERG, EOG). Results. The homozygous 5917delG mutation resulted in the earliest disease manifestation (at 5 years) and a general cone–rod dysfunction, whereas the compound heterozygous mother (5917delG, G1961E) exhibited a very mild phenotype. Compound heterozygotes for the IVS40+5G→A and the C1488Y or Y362X mutation showed also an early age of onset but only a central dysfunction. The effect of the 2588G→C mutation, the G1961E mutation, and the complex mutation L541P-A1038V depended on the mutation in the second allele. Genotype–phenotype correlation appeared possible in most instances. Psychophysics revealed a simultaneous yet not necessarily congruent cone and rod dysfunction. Conclusions. The type and combination of ABCA4 mutations in compound heterozygous patients determined were compatible with the severity of the phenotype as to age of onset and the functional consequences in the majority of patients. Unexplained phenotypic differences indicate the influence of other factors. ABCA4 mutations result in cone and rod dysfunction. Different disease durations limit the power of presently available genotype–phenotype correlations.